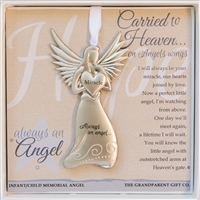 Finding a gift to give a grieving mother and father is always difficult. 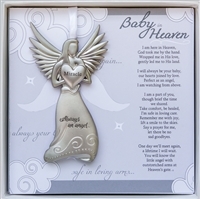 Our tender thoughtful infant bereavement gifts will soothe the hearts suffering from the loss of a pregnancy or newborn baby or child. 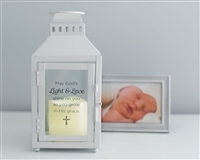 Baby Heaven is written in healing words and paired with a ceramic ornament to hold a photo or sonogram picture or a handmade classic glass cross. A simple yet poignant reminder of the precious life now in His hands.